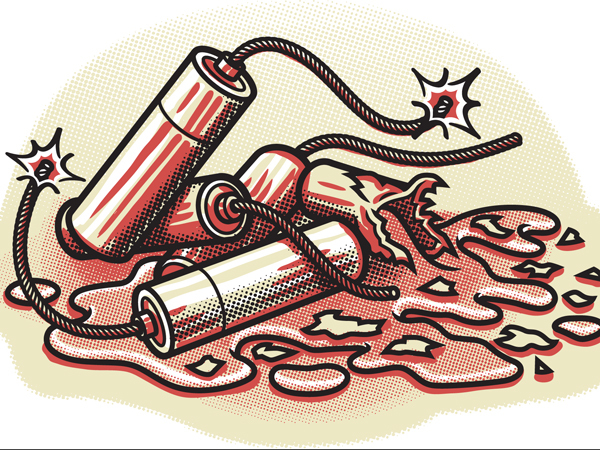 On average, each person in the U.S. discards eight dry-cell batteries per year, according to Earth911.com. Batteries fall into several categories: single-use alkaline, single-use lithium manganese, rechargeable (nickel-cadmium, lithium ion, nickel-metal hydride) and lead-based automotive. There are a number of others, but these are the most prevalent. Although the single-use variety accounts for the lion’s share of junked batteries, automotive and rechargeable batteries are the most important kinds to keep out of the landfill because they contain heavy metals and toxic chemicals that eventually end up in our environment, posing significant health risks. Because mercury use in newer alkaline batteries has been reduced drastically, some landfill bans of the batteries have been lifted and recycling programs have stopped taking them. Nevertheless, it is still prudent to recycle these batteries whenever possible. Places in the Philadelphia area that accept rechargeable batteries for recycling include Whole Foods, IKEA, Best Buy, Office Depot, Staples and Radio Shack. Additionally, Big Green Earth Store, Whole Foods, IKEA and Best Buy accept alkaline batteries. Pep Boys, Advance Auto Parts and Auto Zone will accept automotive batteries. Philadelphia’s Household Hazardous Waste Drop-Off events are scheduled throughout the year at various locations throughout the city—the next one is April 18 at the Streets Department Training Center. They will accept rechargeable batteries, but not alkaline or automotive batteries. Visit the Streets Department’s Hazardous Waste website for more information. Battery Solutions (batteryrecycling.com) has introduced the iRecycle Kit to accept rechargeable and single-use batteries for recycling by mail. For even more information about other companies that accept rechargeable batteries, visit the Rechargeable Battery Recycling Corporation online at rbrc.org.